Fidipidi™ has launched! Fidipidi is a new service that allows users to create highly customized cards online that are physically delivered to the recipient. Currently offered only through Facebook, fidipidi makes the process of creating, ordering and sending an original greeting card simple and intuitive. Fidipidi combines what’s great about buying from brick-and-mortar card retailers - a physical greeting card - with the ease of creating an e-card. Yet fidipidi is more than these two things. Fidipidi is a place where users can spontaneously create a one-of-a-kind memory in an easy, convenient and affordable way. The fidipidi app takes advantage of Facebook functionality to make these actions not only easy, but more “in the moment” and highly personal. Fidipidi offers more than 250 exclusive greeting cards with pick-and-choose messages that speak to holidays, events and special occasions. Senders can select from the available designs and sentiments to create original cards, or they can further customize their creations by downloading photos and crafting their own more personalized messages. Fidipidi can also sync Facebook birthdays, holidays and events so users have plenty of notice on the big moments in the lives of their friends and family. Once visitors have used fidipidi to create a customized card, it is printed on paper, sealed, stamped, and put in the mail to the recipient - usually within 24 hours. Although fidipidi will be incredibly convenient during holidays and special occasions, it was created as a way for social users to take “just because” moments beyond a Facebook “poke” or a wall post. To include family and friends in on a thought, an idea or a funny experience – or just to let them know they are being thought of - “random acts of fidipidi™” are always encouraged. To further encourage these spontaneous gestures, the fidipidi experience is currently being offered at no charge to the first 15,000 people to use the application and enter the special promotion code. The offer can be redeemed at http://www.facebook.com/fidipidi with the offer code “1stCardFree.” The price for an original customized fidipidi card with envelope is $3.99 plus applicable sales tax and a first class fidipidi postage stamp. Fidipidi™ is a new online application that allows users to create personalized and printed greeting cards in Facebook. 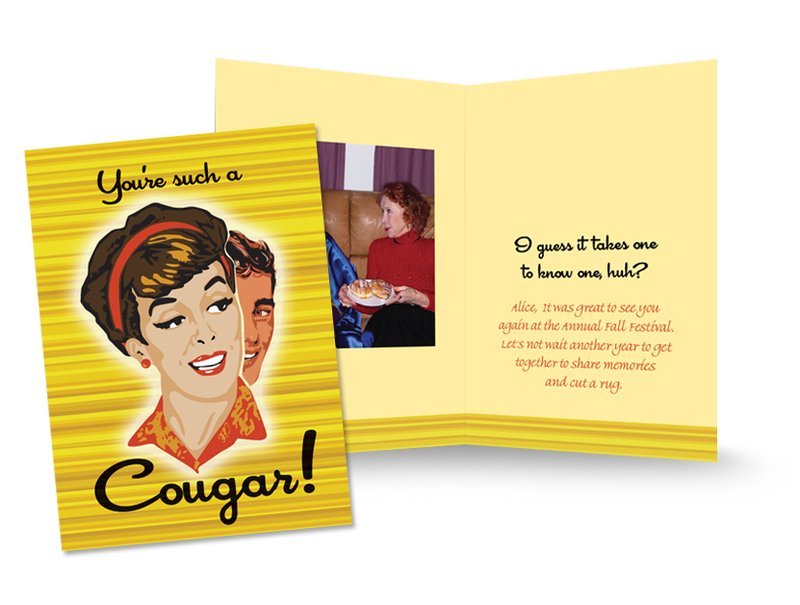 A fidipidi card can be created from hundreds of original card designs and sentiments, or it can be customized further with photos and personalized messages. Once a fidipidi greeting card is created online, it is then printed and mailed to the recipient who receives a real, original greeting card. Another “random act of fidipidi™” is completed - without anyone having to leave home. To learn more visit http://www.facebook.com/fidipidi.